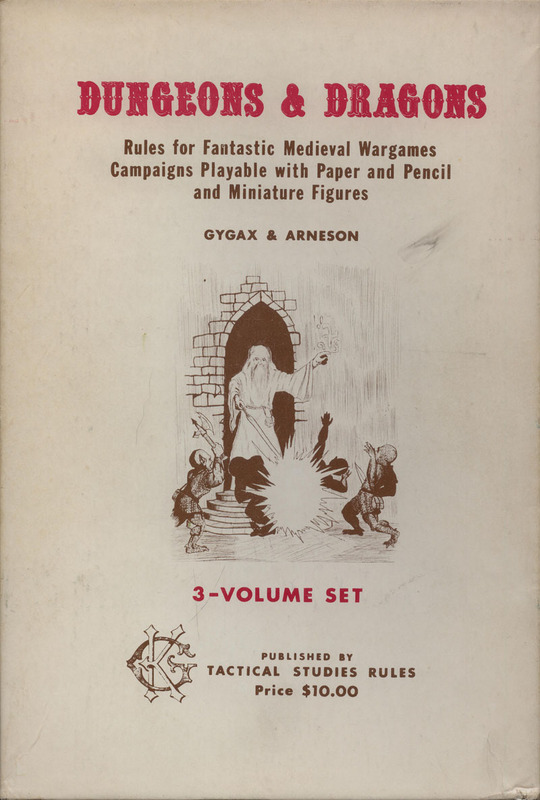 The world of Greyhawk, the fantasy milieu first envisioned by the late Gary Gygax in the 1970’s and 80’s, might be considered the birthplace of the Dungeons and Dragons game. Originally developed as the mysterious and unexplored lands encapsulating the infamous Castle Greyhawk, the world itself has hardly grown beyond its first scribbled notes. A chaotic patchwork of fantastical kingdoms, fledgling empires and cosmic struggles frozen in place and time. It was the original gamer’s sandbox, the prototype world, so to speak. The granddaddy of them all. To explore this never-finished, static landscape can be a daunting undertaking. Today’s gaming worlds, by comparison, are by-in-large tamed beasts whose inhabitants are often tightly developed by teams of seasoned game designers operating with singular vision and within the framework of a single rule system. Greyhawk has not been so fortunate. It is a wild land, pieced together in dribs and drabs over forty year streatch of time and penned by hundreds of gamers with varying degrees of both talent and vision. Commercial ownership of the world has fallen to many masters with publications developed under a half-dozen rule sets. Despite all of this, today we willingly delve into this grumpy monstrosity of a gaming world in order to experience and study the classics, to immerse ourselves in the original genesis of tabletop role playing. We will visit the lands, the nations and the events that shaped the World of Greyhawk. We will look into the canonical history of what was published and experience the stories and adventures as they were sewn together to form this quilt-work setting. We will take it even further than most and look beyond the DM screen and pay tribute to the authors, the designers and the artists who created these works. As we tell the tale of our brave explorers in the following pages, look for sidebars — treasure chests, if you will — containing materials about the development, design and history of each place or notable personality or other such creation. We won’t be doing this completely old-school. We’ll be using the Pathfinder ruleset (depending on how you count them, the seventh or eighth ruleset utilized in the canonical Greyhawk works), and we will be conducting gameplay not with the traditional paper and pencil sessions from which the game was conceived, but with virtual tabletop software and digital dice. Our characters aren’t old-school, either, for they are defined by more modern character classes and even their speech will take on more modern flair. We won’t be starting at the beginning, either. The beginning of the World of Greyhawk was, undoubtedly, the infamous 50-level Castle Greyhawk, plunging deep into the earth within the walls of the city bearing the same name. Instead, we’ll be starting at the end – the very last of the lands that were officially created for this gaming world – the city of Sasserine, the secret civilization hidden within the savage folds of the faraway Amedio Jungle. Well, enough of that. Let’s get started, shall we . . .
Sasserine. Emerald jewel of the Amedio Jungle. A bustling city with little knowledge of the world beyond its verdant jungles and sun-kissed seas. Despite its isolation, the city is old, with origins stretching back seven centuries. Several of the city’s seven districts hug the coastline of its natural harbor, while the remaining districts float within the harbor itself. The three friends who start this story call this city their home. Kate was born here. Her father, an elven fisherman by trade and her human mother, a gondola owner from the Cudgel District, raised Kate as an only child. Her education consisted of splitting time between helping her father mend the nets and helping her mother ferry passengers down the narrow watery avenues that crisscrossed the city’s massive harbor. As a younger child, Kate had no desire to attend the finishing schools found in Sasserine. While the other girls her age sat in stuffy halls all day, listening to equally stuffy tutors and teachers, Kate used her spare time swimming in the canals, climbing across the rooftops of floating houses and listening to her father’s stories of high adventure from a time long before he met her mother. Kate loved her father’s stories. But it was the story about how he once befriended a dragon that she loved the most. Kate would spend hours upon hours in secluded spots throughout the city studying the skies and the jungle treetops searching for a dragon that she could befriend, just like her father had. It was during one such daydreaming excursion, while sitting under the cool gables of Fast Vera’s rooftop, that she first saw Galdar and Gorbachev. She had originally thought the pair were a mother and her baby out for a morning stroll on the docks, but some altercation had ensued between them and Vera in which Galdar’s wig fell off his head and Gorbi had jumped out of the baby carriage. The guards had arrived and arrested the two young boys, and she thought that would be the last she would ever see of the troublemakers. But, Kate saw the pair again several weeks later and introduced herself to them. She never found out exactly what had happened to them that day at Fast Vera’s, but the three of them soon became inseparable friends. Unlike Kate, Galdar grew up in Sasserine without loving parents. The Red Death had claimed his mother and father when Galdar was merely a few months old. As an orphan raised by priestesses in the Temple of St. Cuthbert, Galdar was indoctrinated into the absolute virtues of law and order from a very young age. Galdar was a pious boy and excelled at his lessons. The temple clergy were surprised when, at the ripe age of ten, the young lad was caught by the constabulary aiding and abetting a local gang of hoodlums during a failed attempt to rob a local tavern owner of several kegs of beer. Galdar was bailed out of jail by the High Priest Rufus Laro, himself. Galdar was so ashamed of his actions, he re-doubled his efforts to study the religious rites of his sect, becoming an acolyte of the temple by the age of thirteen. From that day on, Galdar made sure to steer clear of the many gangs and ruffians that haunted the docks and piers of Sasserine. However, the youth took a liking to one of the local gangsters, a young gnome named Gorbachev, and he set about with unwavering resolution to save the gnome from a life of crime. It was as if the reformation of Gorbi had become Galdar’s own path to redemption. At first, Galdar’s words didn’t seem to have impact at all on the misguided gnome. But, during their first session, he realized the gnome was greedily eyeing the lunch Galdur had packed for himself earlier that morning from the Temple’s larders. After offering to share his lunch, Gorbi seemed to take to the lessons much better. So emboldened by his initial success, Galdar returned the next day with more lessons and a much larger sack of food. Gorbi was smart and picked up on the many teaching of The Cudgel in a quick manner, but Galdar discovered that gnomes age much slower than humans do, and while the gnome was (in human years) relatively the same age as he was, Gorbi had actually been alive a lot longer, and, in Galdur’s eyes, those years had exposed the gnome to a lifetime of bad habits. He soon came to realize the redemption he sought may well take years to achieve! But Galdur was nothing if not determined. About the time Galdur passed his final tests of communion and entered into the Cuthbertian clergy as an accolyte, he was struck by a vision while kneeling at the altar during morning prayers. In his vision, Galdur saw a laughing man in a strange hat who stood before him, supported by a gnarled staff of oak. The man pointed over Galdur’s head with the staff and laughed even more as he told him to leave the city and discover the world. Gorbachev Mushroomnose was born in a cave. His mother and father; good, nature-loving, industrious members of the greater gnomish communities on the outskirts of Sasserine, could not imagine ever leaving the complex of tunnels they lived in. But, Gorbi could. Being at the latter end of a fourteen-gnome brood, Gorbachev was never satisfied with the divided attention he received from his folks. To make matters worse, he soon came to the understanding that his thirteen siblings were all just bat-guano-crazy for wanting to live there, too. So, without so much as a wave good-bye, at the tender age of thirty-two, Gorbachev gathered up his meager possessions and left the caves and tunnels behind. Sasserine was a huge metropolis, by gnomish standards, and was chock-full of people. Mostly humans, but elves and dwarves and halflings and half-orcs and even a few gnomes were crammed into the vast network of buildings around the bay. The place was noisy and messy and the people who lived there generally lacked a proper reverence for all things of nature – and Gorbi loved it! It took little time for the wily gnome to figure out how to use his ‘talents’ to his advantage. His gnomish bloodline had equipped him with an innate talent for conjuring up small feats of magical illusions. From tiny sounds, to imaginary smells and the occasional glamor or two, Gorbi found way to entertain the locals and he was rewarded with coppers aplenty. Soon his magic show caught the eye of a local gang known as the Salt Daggers and Gorbi found himself assisting the group with the occasional pickpocket, shell-game sham or minor burglary. During his tenure with the Salt Daggers, Gorbi saw his fortunes skyrocket. The altar boy sought him out the very next day, bearing a sack of food and honeyed words castigating a life of crime. Gorbi didn’t care much for the lectures, but the food was good – and free, so he put up with the kid. Inexplicably, the kid appeared the following day, and every day after that, with more lectures and more food. One day, in between bites of kippered snails and sugary Urgothian Delight, a strange young elven girl approached them. She offered to show them a cool place in the shade for a bite of pastry. And every day after that, Gorbi found himself surround by either Kate or Galdar – usually both. Eventually the lectures stopped. Kate taught Gorbi how to swim. Galdur began talking about faraway places. Kate obsessed over dragons. And the years rolled on. Until one day . . .